Nostalghia has a new album available today called Imagō. If you have seen the John Wick films, then you have heard her music. She also made an appearance in John Wick 2 in the concert scene in Italy where Common and Keanu Reeves size each other up before the big shootout underground. 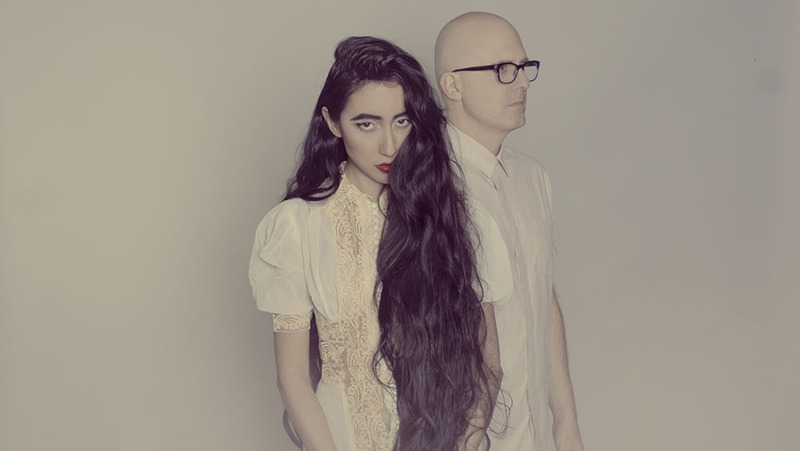 Together with Roy Gnan, the duo has created haunting and emotional tracks. We had the chance to interview Nostalghia about her musical origins, John Wick, and Imagō. There was a campus piano room that inspired you to create music. Would that be the singular thing that catapulted you into becoming a musician? I would say that I’ve always been musical, but because the piano was the only instrument I had at the time, it’s what worked to bring out my voice and turn my poetry into music. I’ve spent a lot of time alone in that piano room, and I had a lot of time on my hand. So it was a natural progression of things to turn what I had always been working on, which was interesting formations of words. Some might call it poetry; some might call it crap. But turning that into music and developing my voice as a singer was shocking since I had no idea I could sing. When I first started singing, I suppose I didn’t notice I was hitting the notes. I didn’t know if it was going to be a gift that others would like me to give. It must have been something that was in me all along because it became so natural to me and so fast. I’ve never had any kind of music or vocal lessons or anything like that. It must have something in my past life or in my DNA. Would your tip for other aspiring musicians be to find a place, break into a piano room or harp room and find themselves there? Just piss off your parents enough where you get kicked out and you end up homeless and in a state of desperation. That’s where you’ll find your true calling. And how’s your relationship with your parents now? I love my parents very much and I see their beauty and they see mine. They now have a much clearer understanding of what is it that I’m doing and what it is I won’t do. And they honor and respect it. I think it inspires them, and they inspire me. We’re very different people, but we get to learn from each other. You have collaborated with Chad Stahelski and Tyler Bates with music for the John Wick films. Were they big fans of your work before and what was it like creating the music for the films? Tyler has been a friend of mine and he worked with Chad, and he became a fan of what I do. Creating the music for it was really easy. I think both of them may have been just one take. I don’t really think there were many edits or changes. Writing the music for it came really easy. I’ve worked on it with Tyler and [Joel J. Richard]. Being in the film was a little more challenging. There were many hours of downtime, and we were freezing cold in Italy. It was a new environment, and I’ve never been in a movie before. But then again, I got to just be myself. I didn’t have to change anything about me or change the character. Are you involved with John Wick 3? I’m not sure yet. I don’t know, and even if I did, I won’t be able to say anything. You’ve toured with 30 Seconds to Mars and Serj from System of a Down. What was that like? It’s always really fun to get to meet other artists and be around that kind of camaraderie and that type of energy. And being on tour is an entire experience of its own. I’m very thankful for any artists that bring us on tour. It’s always been beautiful and illuminating – also sometimes stressful for someone who’s incredibly sensitive and a recluse. Being around an audience all the time can be draining, and you really have to learn how to keep yourself balanced and take care of yourself emotionally, spiritually and physically. Do you have any rituals or preparations before performing? You know it’s interesting that you even bring this up because rituals are very much a part of my daily life. I use all different kinds of things to get myself into a centered state. I use herbs, essential oils, stones, and things like that. Because alongside my work as a singer and musician, I’ve taken a symbolic concept of metamorphosis that exists in my album (Chrysalis and Imagō) and I turned it into a path. Essentially it’s a way of life, a way of living, and a way of being. Many people don’t know that I’m also a Clairsentient certified folk herbalist, medicine woman, a ritualist, and a certified aromatherapist. Please tell us about the new album. Our fans, I call them creatures. And there’s a song off the record, Imagō, called Gorgeous Creature. That’s going to be bringing all of these dreams into reality. I’m launching that with Roy, my bandmate, and this lovely lady who I call a potion prophetess, Alexandra Polet. She’s helping us out and helping it become a reality. What’s the difference between Imagō and Chrysalis? I think it’s just as emotionally evocative, if not more. It’s probably more cinematic and perhaps more dramatic. Chrysalis is actually the outer hardening shell of a pupa when it’s a cocoon. An imagō is a fully winged insect. So imagō for me was about coming out of that cocoon – really being a woman, being authentic as that woman and being fearless in my honest and authenticity. Your music is very sad and haunting. Would you ever do different types of emotions like happiness or something else you haven’t done yet? When I first had my agent, Mark Giger, he looked at me and said, “I’m going to tell you one thing and I’m going to ask one thing of you.” He said, “Never get happy.” [Laughs] I don’t think of my music as sad. I think of it as a body of light and dark. The things that you see as sad are the shadows that I see and they’re the shadows that exist in all of human nature. Certainly, there is sadness and there is anger, but there is also hope and beauty and there’s also the silver lining. I see it as embodying light and dark, but the darkness is a lot easier to see for whatever reason. But would I ever write a happy song? Just a purely happy song? Who knows? I really don’t know. I’m not sure. I’ll get back to you on that. Imagō is currently available at http://www.nostalghiamusic.com/store/ and on Spotify. The post Musician Nostalghia on John Wick and new album Imagō appeared first on Nerd Reactor.